It's supposedly my third trip for the year 2019 but then, due to some personal reason I burnt two tickets before my trip to Brunei. Sorry Sibu and Bangkok but I believe, I will see you two soon again. Hence, Brunei is my first official trip for this year - the brand new year of 2019. 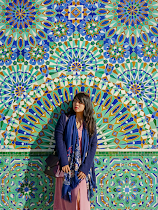 I've been to Brunei quite a number of times and the most adventurous I ever experienced was self-drive road trip which took more than 7 hours from Kota Kinabalu. 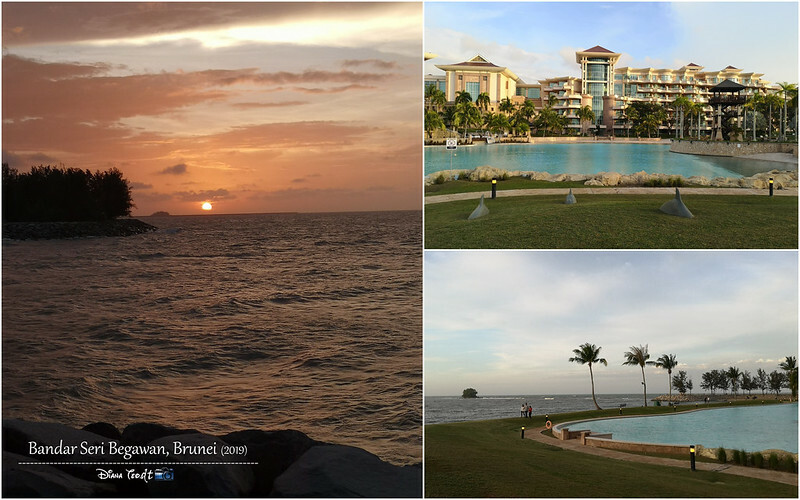 My Old Post: 7 Hours Road Trip From Kota Kinabalu To Brunei. 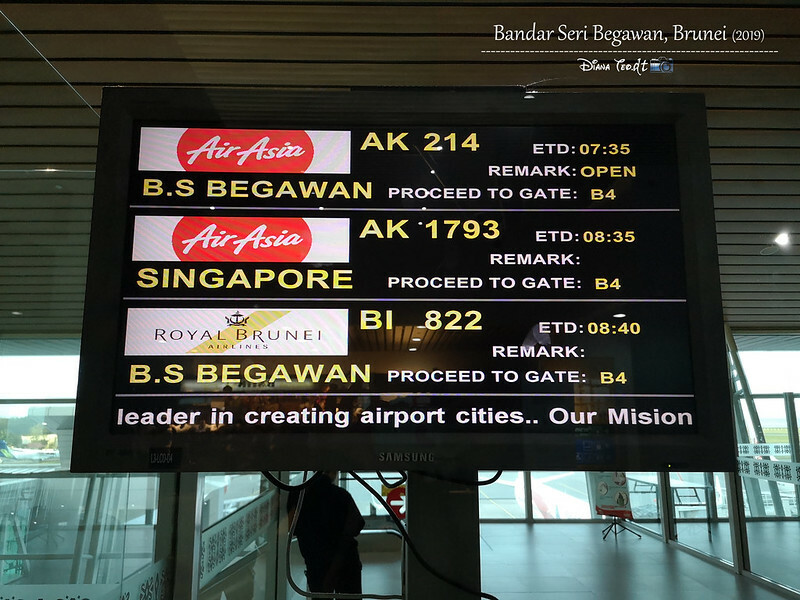 Besides driving, I actually also flew to the main capital city of Brunei - Bandar Seri Begawan multiple times and for this round, I got return fare for as low as RM69 only. That's freaking dirt cheap and as usual, it's so hard for me to say "No" for this unbelievable airfare. 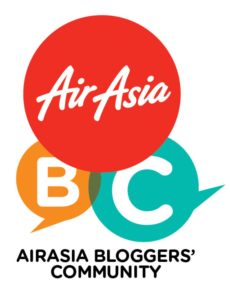 Thanks to AirAsia for relaunching this route and there goes our 24 hours trip in Brunei. #2: The shortest international flight ever. I haven't complete fill in the form, the captain announced that we will be landing soon. Like what! 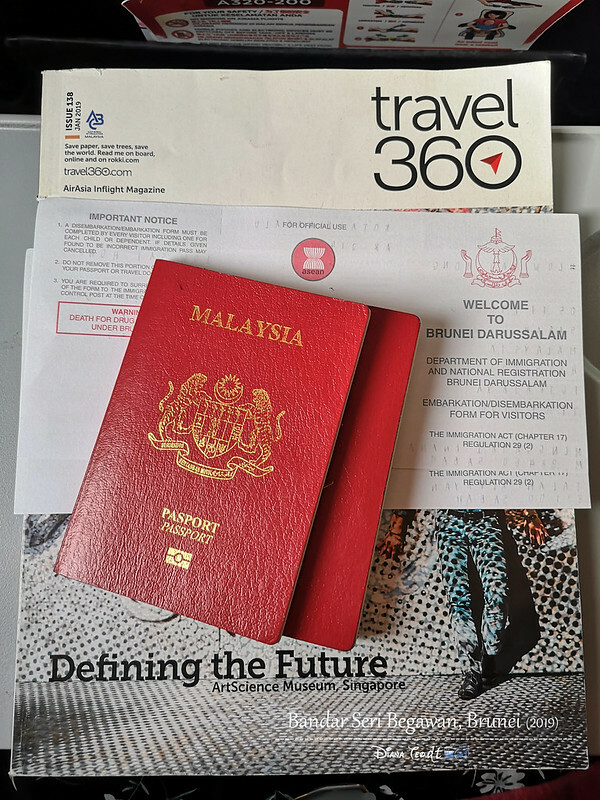 No visa is required for Malaysian - just fill in and complete the form on arrival and we're allowed to stay in Brunei up to 30 days only. My last visit to Brunei Airport was back in 2013 when my flight transit here before continue flying to Bangkok with Royal Brunei Airlines. At that point of time, the airport itself was kinda old and unimpressive, unlike my recent visit there. 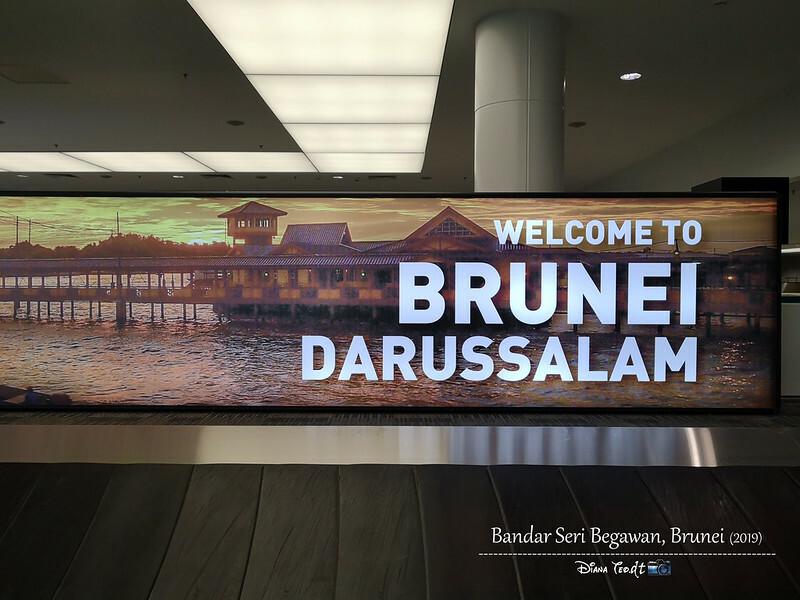 Currently, Brunei Airport has improved tremendously especially in terms of amenities in order to serve the modern travellers where they provide plenty of comfortable seats, charging stations and free WiFi connections. There are even quite a number of eateries and dining options available such as KFC, Jollibee, The Coffee Bean & Tea Leaf and even Royce's Chocolate, a Japanese chocolate maker and confectioner. Sad to say this but I honestly felt that their airport is at least ten times better than my hometown airport, KKIA. 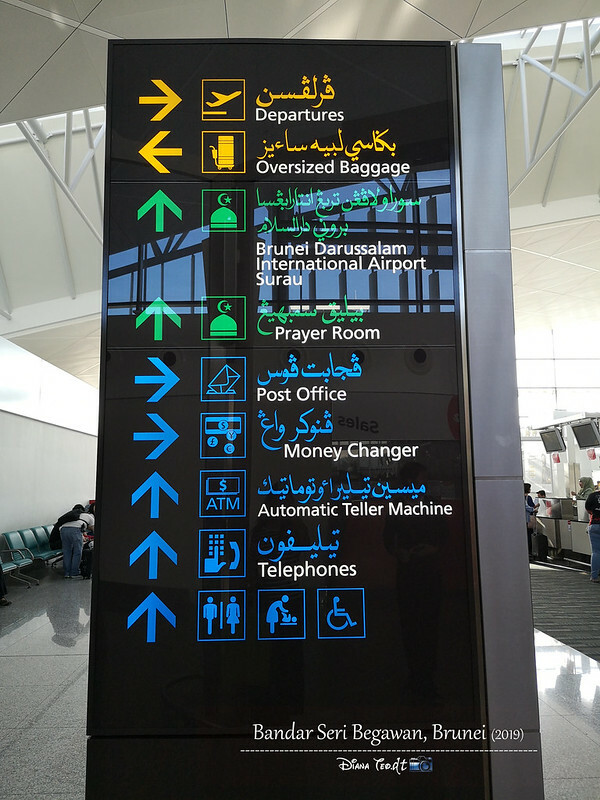 So, how to get to the city center from the airport? We took the bus #23 that cost B$1 only heading to the heart of the capital city. Although Brunei is well-known for being one wealthy nation, unfortunately this doesn't apply to its bus. The public bus we took were kinda run-down and tired-looking one. 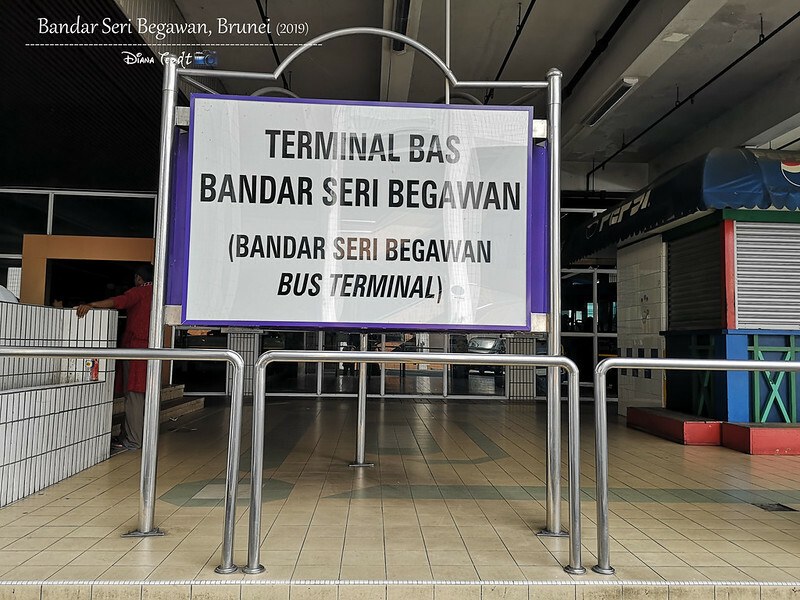 Another thing you have to take note of Brunei's public bus is that it is very limited and in order to get around, it takes a lots of effort. Buses operate daily from 6.30 am to about 6 pm only. After that, your options are either taking a cab or hoofing it. Alternatively, you can download Dart which similar to Grab/Uber. Unfortunately in order to protect the taxi driver, one can't book Dart from the airport exact location and so, you need to walk further down. You know what? This is my first time I booked an accommodation in Brunei because previously, I always stayed in my relative's house. Yes, I have a paternal aunt and maternal uncle staying and living in Brunei. However for this trip, I decided not to disturb them. I don't even inform them about my visit there. The boyfriend in charge of doing the booking and he booked BWN Bed Station. A room with 2 bunk beds cost B$30 to 32 which I found it's fairly affordable. 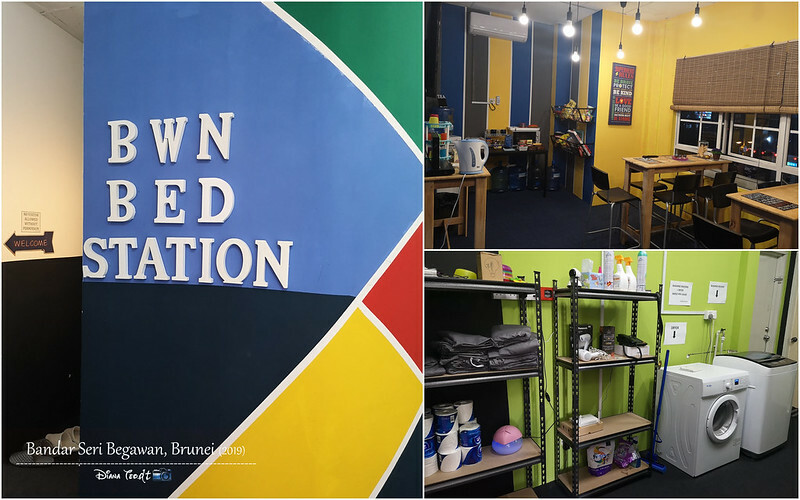 Location wise, it's located at Kiulap Commercial Centre, just above the KFC fast food restaurant. In order to get to the city centre, take bus #20 or #22. 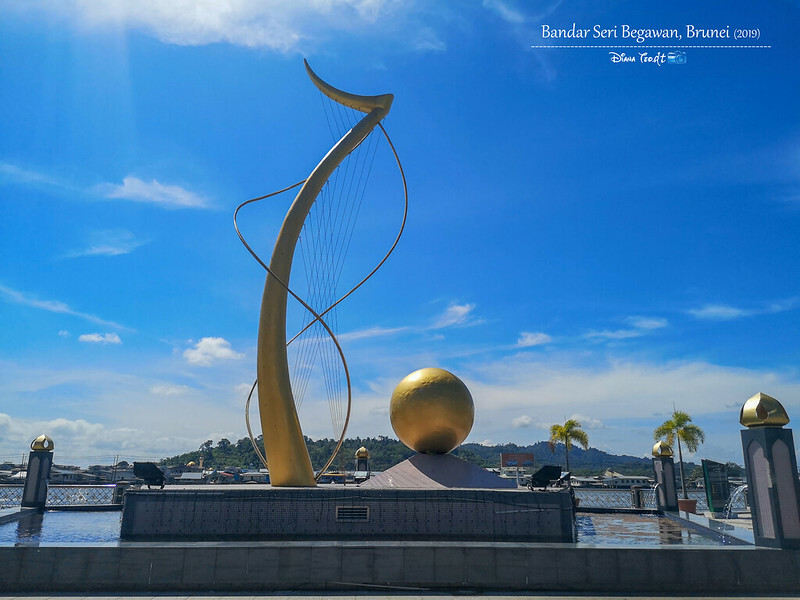 The bank of the Brunei River has been currently redeveloped and features an amazing and stunning promenade. From here, one can even view the notable Kampung Ayer. 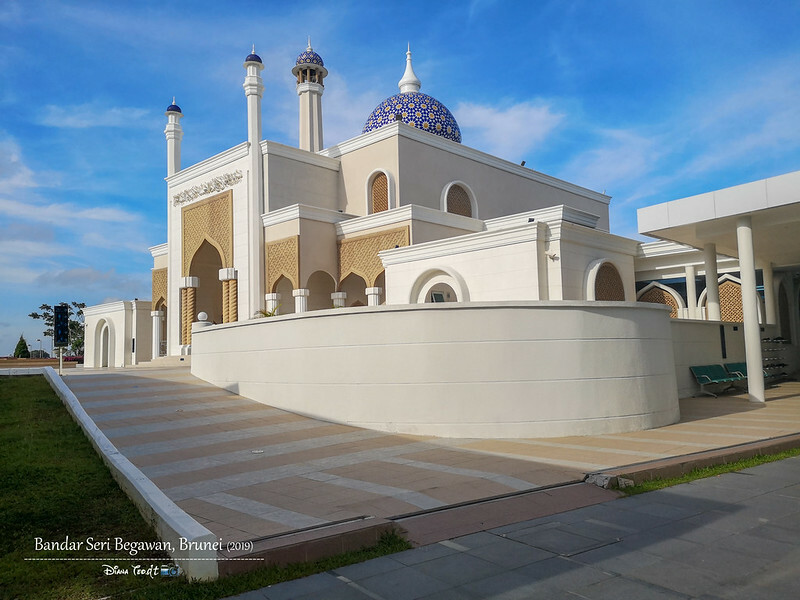 Sultan Omar Ali Saifuddien Mosque - A visit to Brunei is incomplete without visiting this. 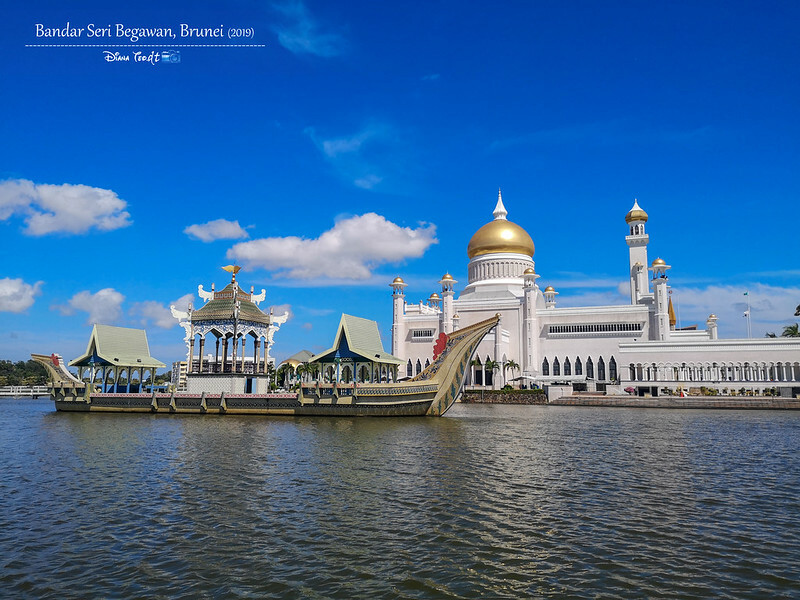 This iconic of Brunei is considered as one of the most beautiful mosques in the Asia Pacific. However until now, I never set my foot into this mosque regardless how many times I passby. I know it's such a shame not to pay any visit of this stunning and magnificent mosque but I will make sure I do so in my future visit. 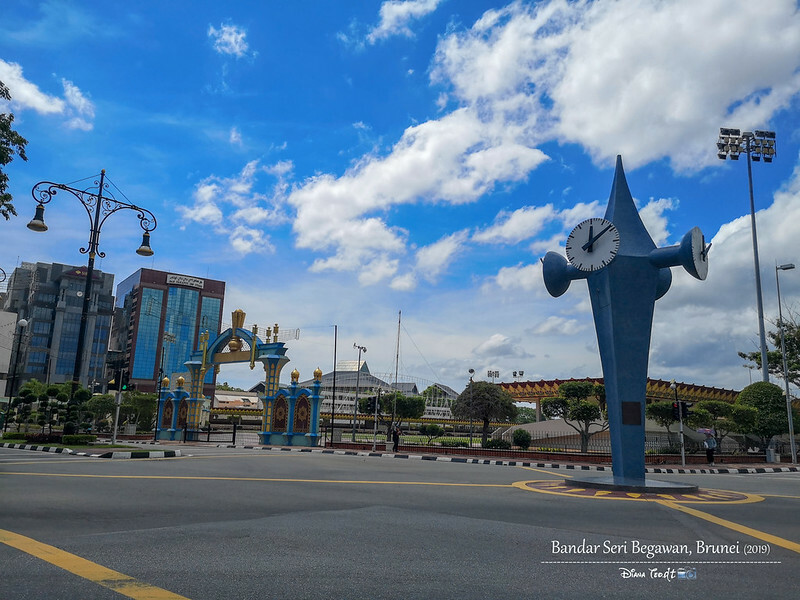 Clock Tower of Brunei - Fully painted in blue, this clock tower of Brunei was built to commerate the visit of our first Prime Minister of Malaysia, Tuanku Abdul Rahman to Brunei Darussalam. It is dubbed the Ground Zero as it is the starting point where distances are measured in Brunei. From the main town, we booked Dart to The Empire Hotel & Country Club for sunset viewing. One single trip costs us B$12 cause it takes approximately 20 minutes drive from the city center. Since opened on 2000, The Empire has become synonymous with Brunei reflecting the country's majestic and cultural heritage. 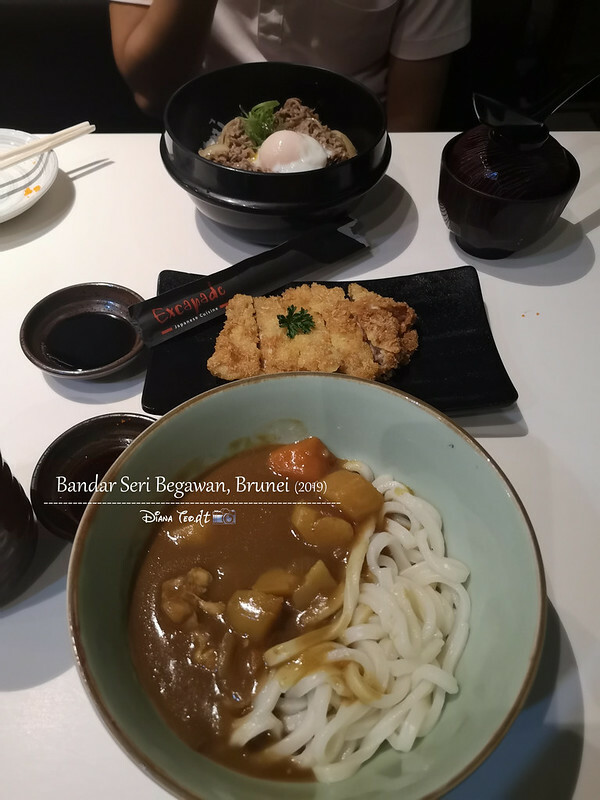 To end our day in Brunei, I brought the boyfriend for Japanese cuisines at Excapade Sushi which situated not far away from our hostel. No wonder when I arrived at the hostel area, I noticed the place seems so similar, like I've been before. I was right, I came here before with my family for the same reason too - just to have Japanese food. On the next morning, we booked Dart again heading to the airport. I know my latest trip to Brunei is one short and quick trip but then, it's a fruitful one. I enjoy the experience to explore the nation as tourist or traveller cause like I mentioned earlier, most of the times my relatives brought my family and I around. 1) As we all know that Brunei is officially an Islamic nation, therefore places of business and officers, including shops, restaurants and even malls close between 12pm to 2pm every Friday for Friday prayers. 2) Regarding the dress code, you don't have to cover your head like what I did in Iran. Just make sure you dress appropriately; avoid revealing too much skin, being respectful by wearing sleeve top and short/skirt over the knee, at least. 3) You can find pork in Brunei (#nonhalal). From small, I was told that selling any pork in the country is illegal. Not until I stumbled upon a restaurant serving pork - to be honest, I was quite surprised to see it and I have to look twice to double confirm. But of course, visit people's country is to try their local dishes. Wondering how much both the boyfriend and I spent when we're in Brunei for 2 days and 1 night? So, here's the breakdown. I'm not sure about the current exchange rate for Brunei dollar since I have quite number of notes with me (you know, angpow from relatives) but I used BigPay rate as a benchmark (B$1 = RM3.024). Souvenirs wise, I didn't buy the usual one like fridge magnet, postcard and stamps cause nothing seem interesting to me but we bought many shrimp and prawn crackers there. My mom told me Brunei is famous for that, ohhhh.... Plus you know, Chinese New Year is approaching soon right? So this is the best souvenir I got for my mom - she fry it, I eat it. Hahaha. Less than RM100. That's super cheap fare. 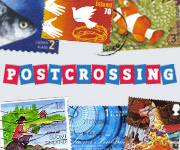 Worth for a visit. You lived there before? Hmm...it's like balik kampung for you then. Many things changed? The mosque looks awesome. Love the ship like building. Hahaha... cant help laughing at the last part... clever choice of "hand letters"... prawns crackers. 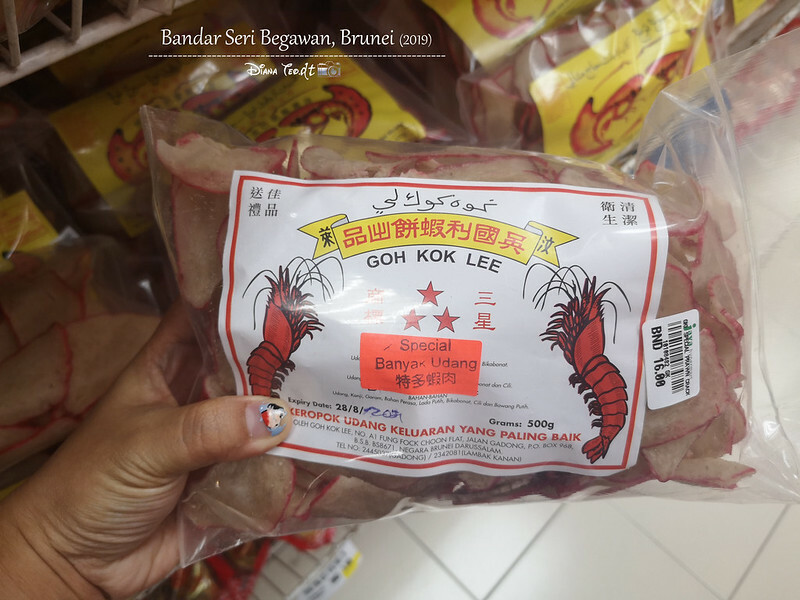 Prawn crackers really famous in Brunei and delicious!! Well, these tips are most helpful while traveling to the Malaysia as it helps a lot in visiting this place in the off season as it offers discounts and cut off the traveling expenses and making the trip enjoyable with Hire boat in Dubrovnik and explore the beauty of the nature without any hassle.